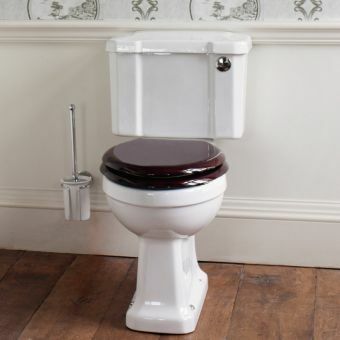 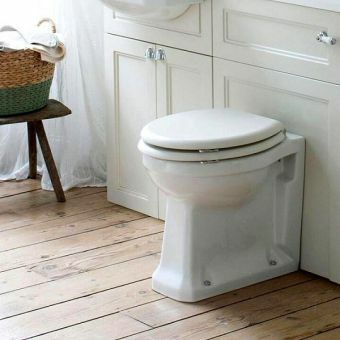 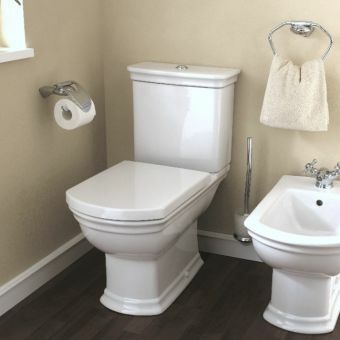 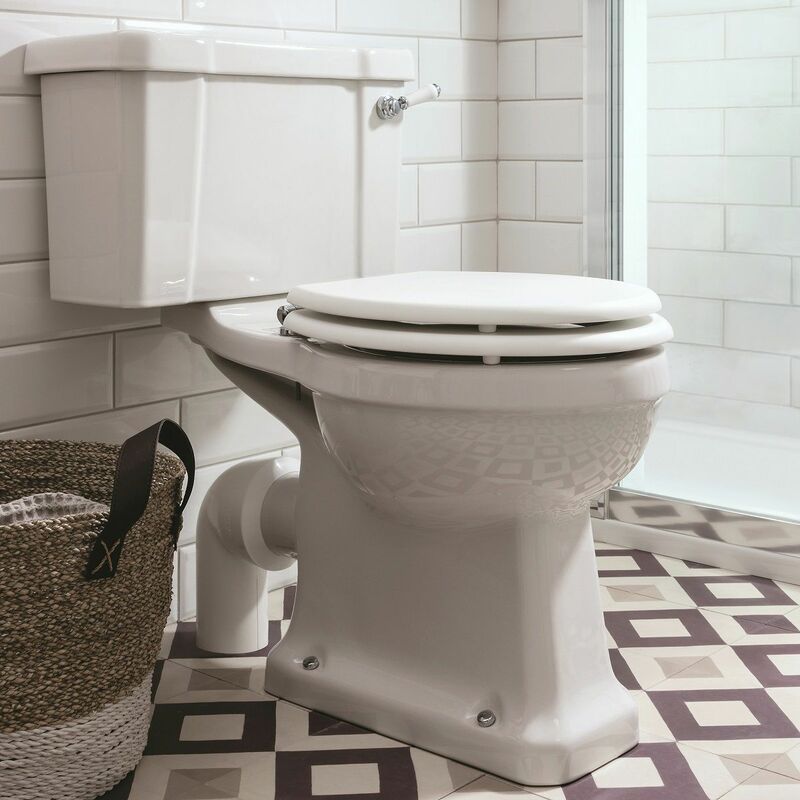 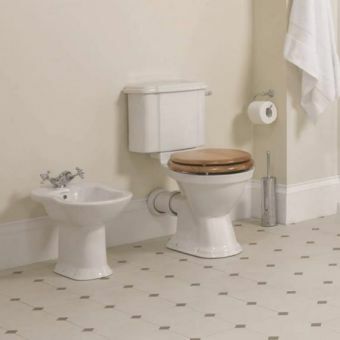 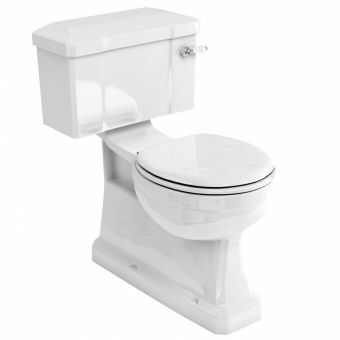 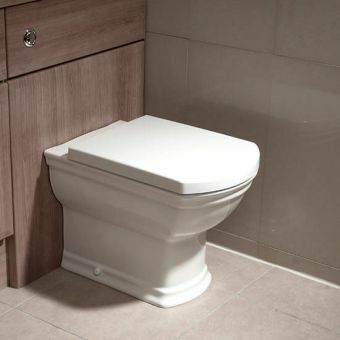 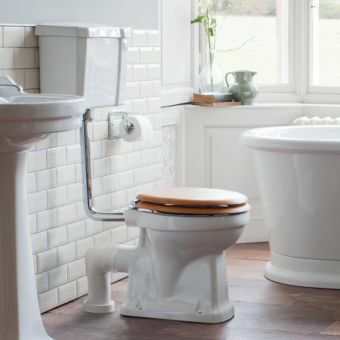 The Burlington close coupled toilet can be configured in a variety of different options to create various classic and traditional bathroom looks. 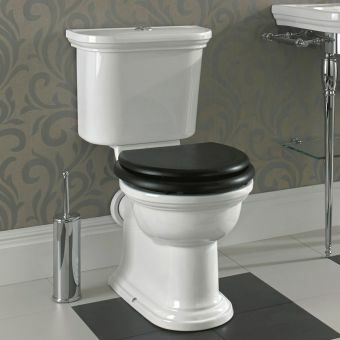 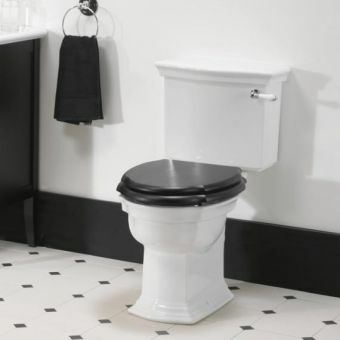 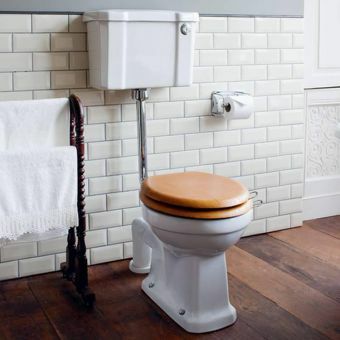 The handles can be specified in black or white, and there is a wide range of toilet seat colour options to create various looks from traditional to contemporary classic. 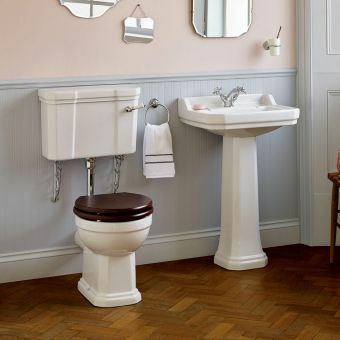 What’s more, Burlington have added a 100% solid wood seat to their offering, the Walnut Solid Wood seat. 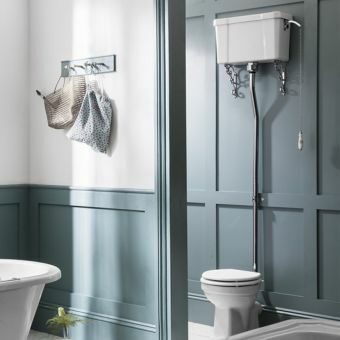 Cool contemporary classic styling can be achieved with a matt black or grey finish, or opt for a more traditional oak or mahogany to compliment victorian bathroom styling. 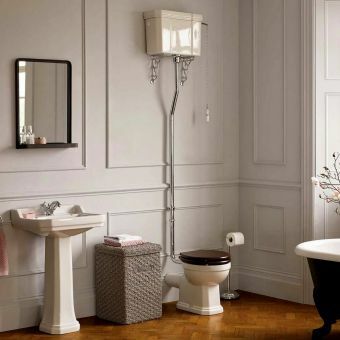 For a softer country cottage feel a softer olive or sand would suit, or you can’t go wrong with gloss white. 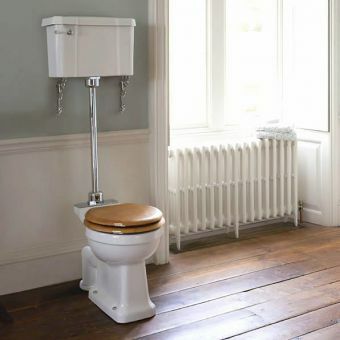 The waste pipe on these pans are horizontal, should you require the ceramic adaptor this can be selected in the options, a matching stop valve can also be purchased with either black or white indices.